I really want to figure out how I can better embellish my PL spreads. I see so many fantastic pages out there where the colors are coordinated, everything looks very streamlined and matches well, and then I look at mine. Don't get me wrong, I'm happy with what I create, but if practice makes perfect, it's going to be a while since I only do this monthly. I'm still digging the variety of page designs and this month used a half sheet for two events, one on each side and then a 3/4 page design for the rest of the month. I haven't done a calendar page for the past 2 months, instead opting to experiment with highlighting the dates. I used several cards from the Amy Tangerine Cut & Paste mini kit, did hand and machine stitching on some of the cards, and got to use my football printables finally! You pages look great! I love love your phone wallpaper! I've been ordering some Becky Higgins smaller sets like Dear Lizzy and Flea Market, then I buy the embellies or ephemera pack in the line and it's working great for me. Thanks for sharing! 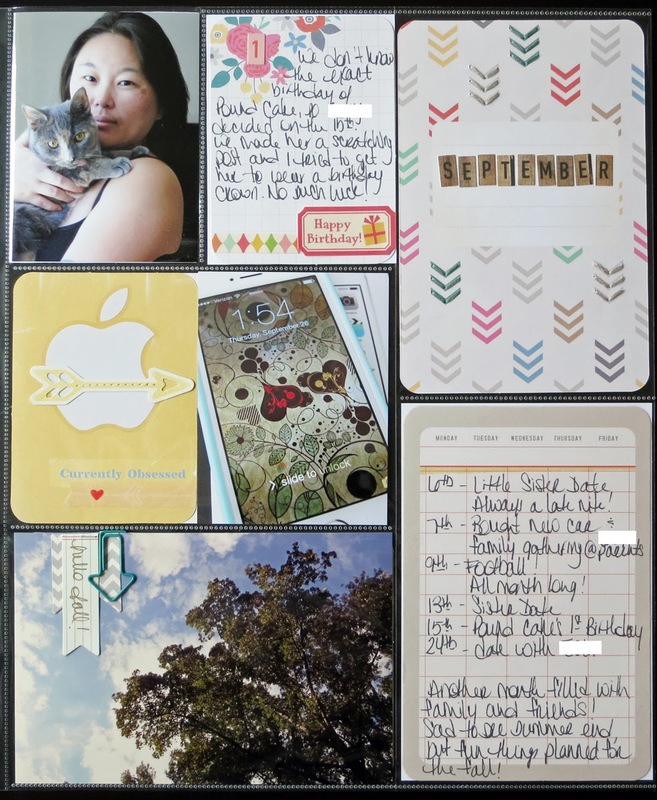 I love your use of different page protectors too! Awesome spreads, and very colorful too. I think that is a fab idea highlightening a day, and as for embellishing pages it's time consuming or at least that's what I have discovered and you have to apparently own a million little pieces but like you I am trying to get mine better I think it's just like when you first learned to scrap once you get comfortable with what you are doing then you get better at doing it. 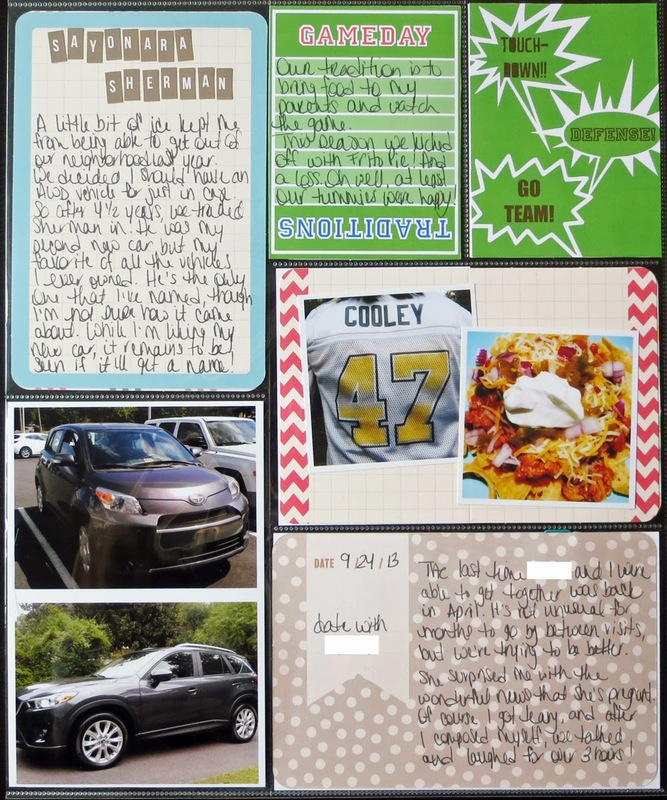 I think your pages look great! It's easiest for me to embellish when I have embellishments very accessible. I have a little basket where I keep my newest items. 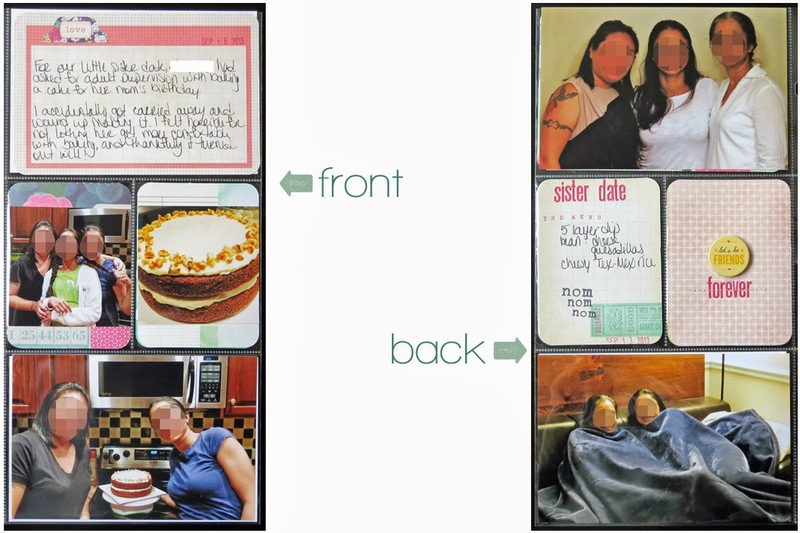 I arrange all my pics and journaling cards, then go back and add embellishments at the end. Thanks for the kind words and helpful tips ladies, much appreciated!